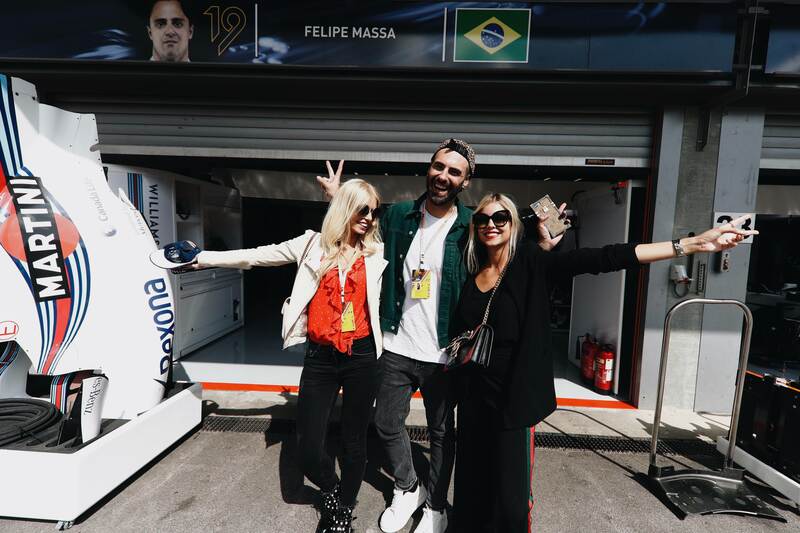 Once in a lifetime, would be best to describe the Formula 1 experience I had last week. 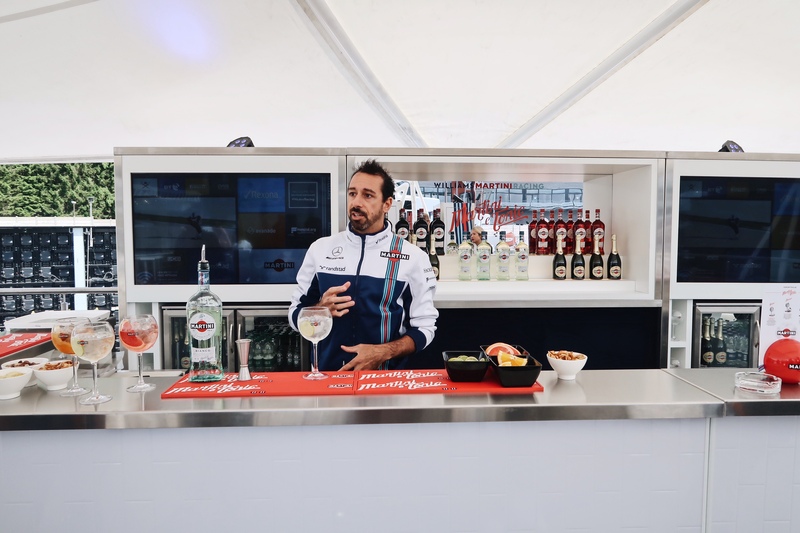 I was invited by Martini, not only to follow the race day on Sunday from up close, but also to follow the Williams Martini Racing team around for a full day, on the first day of the Spa Francorchamps Grand Prix. The connection between racing and Martini had always been there, with the first activities in 1925. A never ending relationship with Mondo Martini! I’ve always been intrigued by this sport starting from when I was a little girl, seeing my dad watching the different Grand Prix during the season on Sundays. Until last week, I’d never seen a circuit or race from up close so I was really thrilled! I left home really early on Thursday and arrived in Spa about 2 hours later. 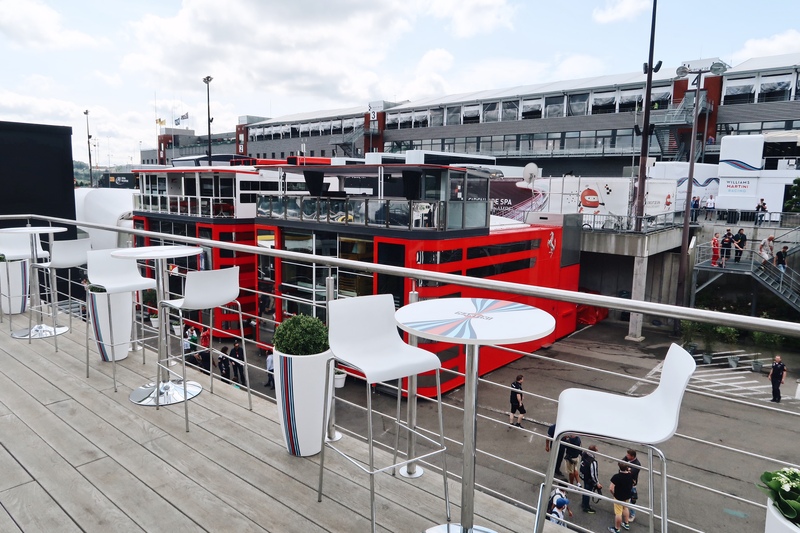 I received the warmest welcome from the Martini team when entering the Paddock club, an exclusive area where you can watch all the F1 race magic and teams from up close, on and off track. I received my VIP pass for the full day and met up with fellow bloggers Claire and Luigi, always good to see them again! 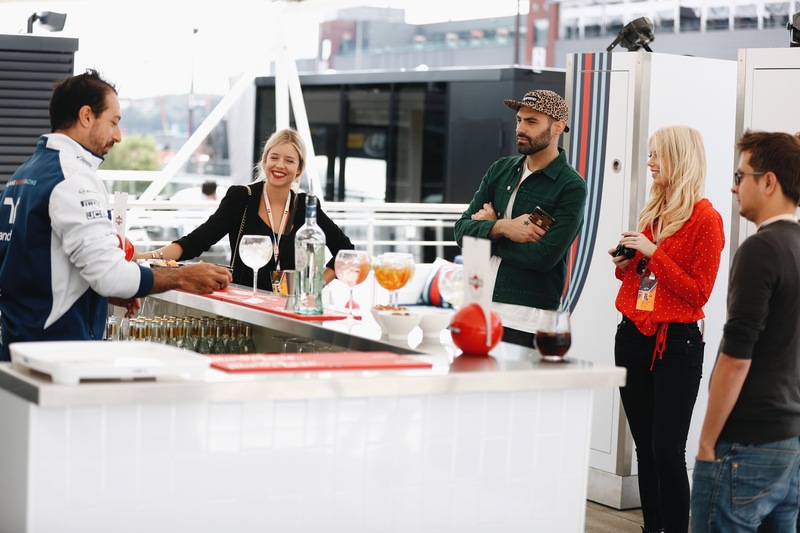 We kicked off the day with a brief cocktail demo at the Martini Terrazza located at the Paddock club. We tried the Martini Bianco, Rosato and Rosso, all mixed with tonic, the perfect refreshment on a hot Summer day like that Thursday. My absolute favourite was the Rosata tonic, finished with 2 slices of grapefruit, bitter yet fruity, just how I like my mixed drinks! 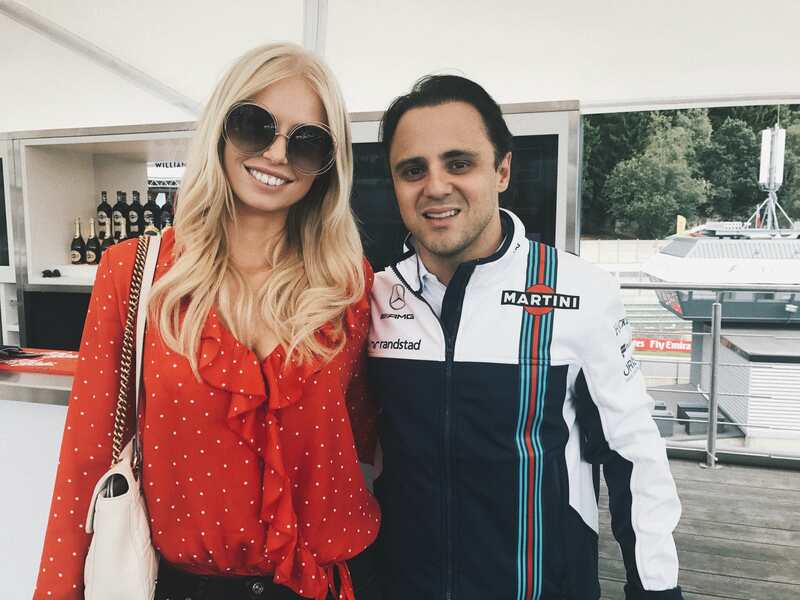 After our aperitivo, it was time for le moment supreme: a meet and greet with Felipe Massa, the Brazilian race driver for Williams Martini. There was time for a little chat, a picture together of course and a signing moment where we received a Wiliams Martini Racing team cap, so cool! Afterwards, lunch was waiting for us. We got to pick a table right in the middle of the racing team, such a unique experience! Sounds like so much fun right?! And then you didn’t hear the best part yet!! After that delicious lunch ,we were allowed access to the Williams Martini garage where all the magic happens! We didn’t get to to take pictures or videos inside for logic reasons but I can tell you guys that it was super impressive to see the technology and entire team behind the race. Every little detail from the car itself and pilot are monitored on computers, the tires are carefully stocked and kept on temperature, ready to be changed during the race. A walk on the pitlane was also on the agenda, followed with, of course, a little photoshoot! I’m so grateful for this once in a lifetime experience! We closed off the day with some last drinks at the Martini Terrazza, the perfect moment to catch up and enjoy the sun a bit more. 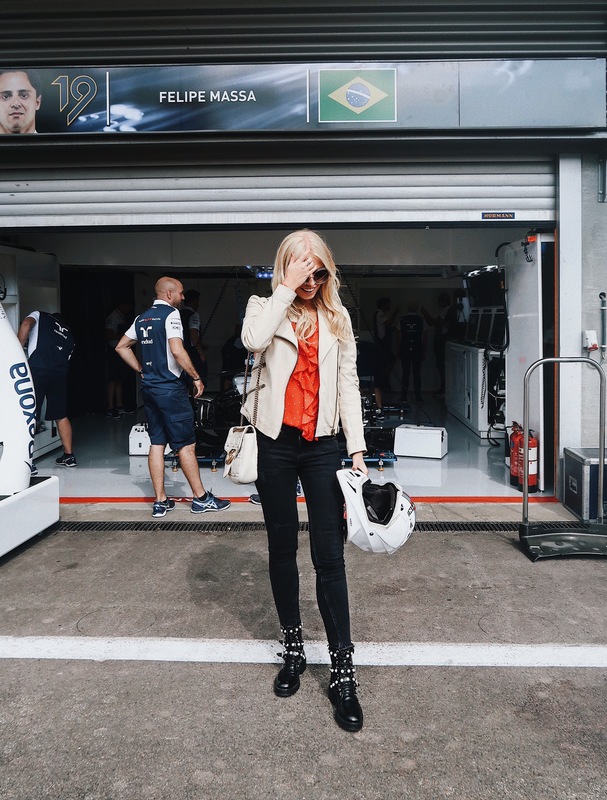 And… my F1 journey wasn’t over yet! 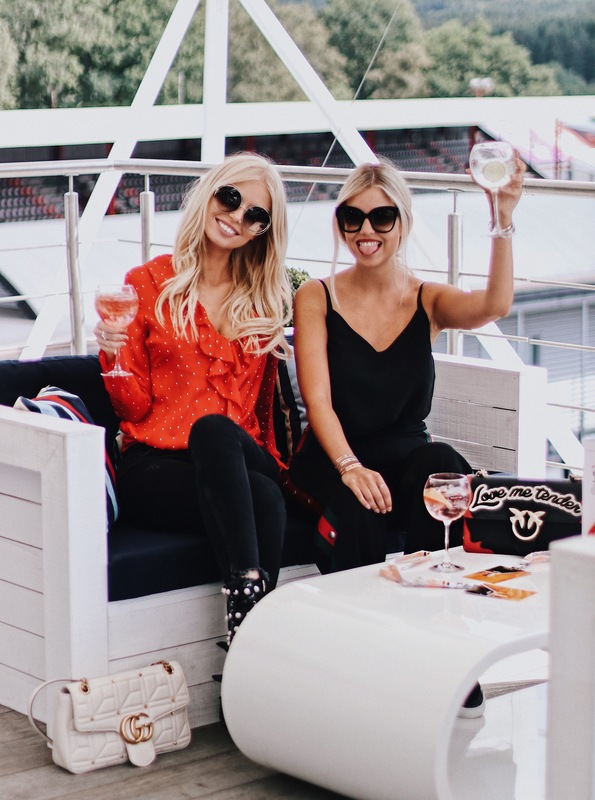 I returned to Spa Francorchamps for the race day on Sunday where the boyfriend and I enjoyed the 44 race lapses to the fullest. 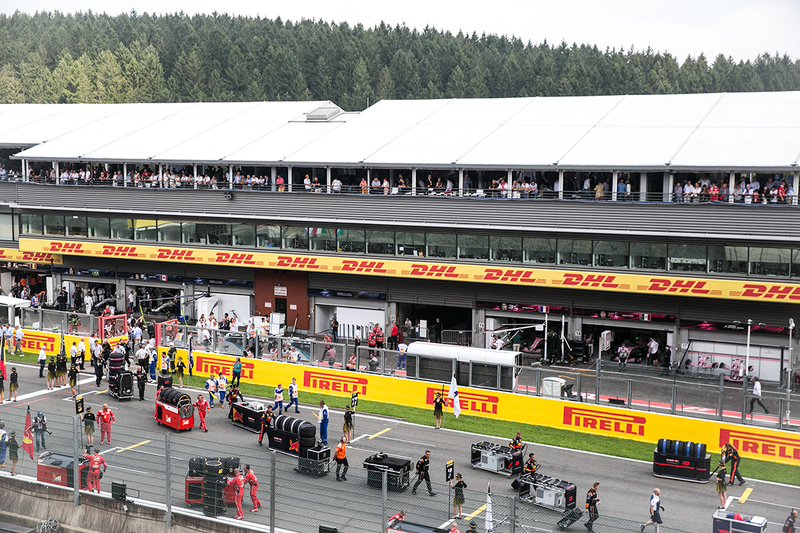 As a first real Formula 1 race, the Spa-Francorchamps Grand Prix was quite the experience! We were seated right in front of the pit lane so we could follow the preparations, the start, the change of tyres (in 3 secs!) and the finish from up close. 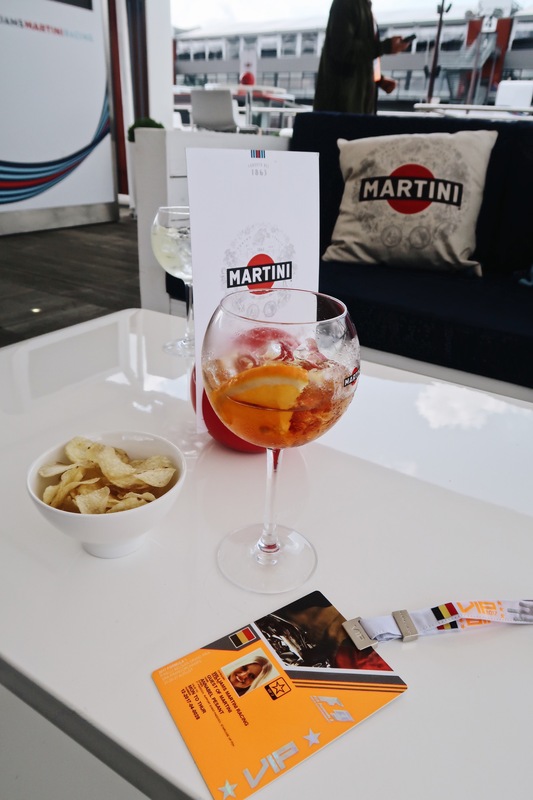 Following up on the the podium ceremony, it was time to enjoy the Martini Terrazza, located right next to the circuit. We were spoiled with Martini Tonics and Martini cocktails made by Belroy’s, carefully paired with the perfect Aperitivo plate filled with Italian specialties. A female DJ spiced up the party with some nice dance beats and there was a cool photobooth where you could have yourself placed on a personalised racecar with your name on, ha! 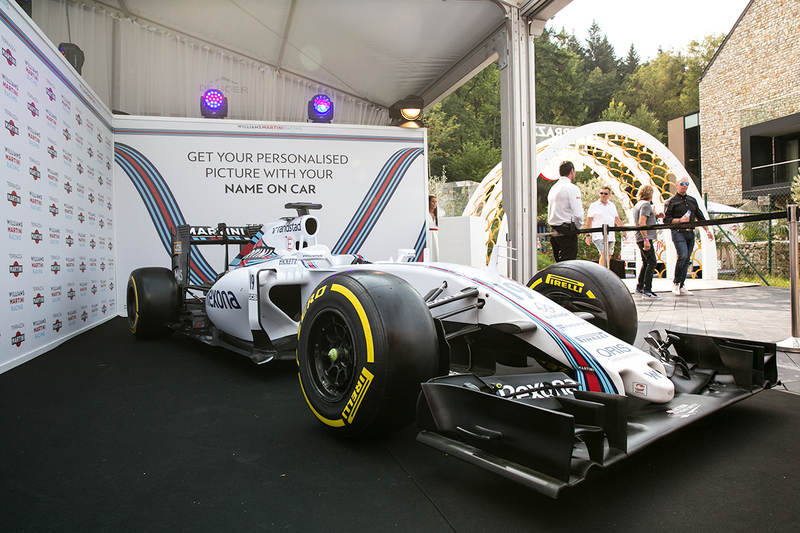 Thanks for the truly unforgettable F1 weekend, Martini!